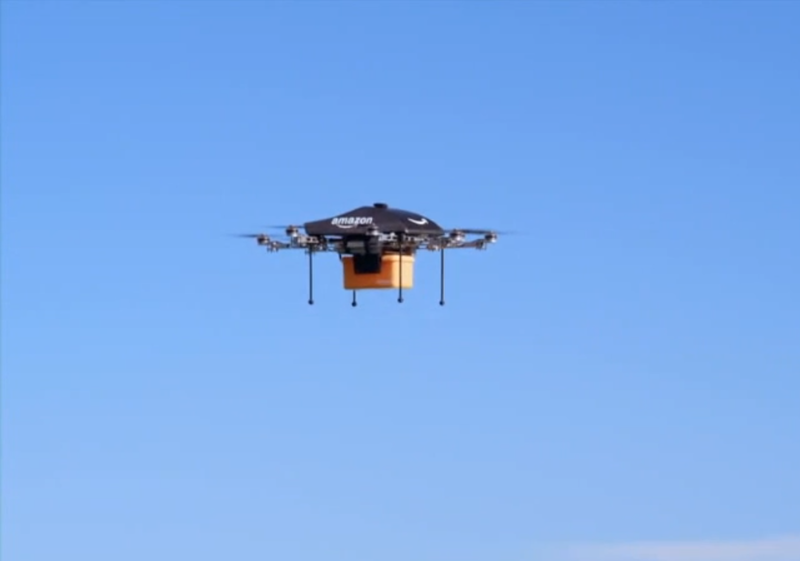 Amazon just released a video showing their plans for a new service called Amazon Prime Air. Its customers will be able to choose immediate Prime Air delivery and get their goods in around 30 minutes. There is still no announced release date for the service but the e-commerce platform claims to be working with the Federal Aviation Administration (FAA) on rules and regulations putting public safety as a top priority. They hope they’ll be able to get everything ready by 2015. Amazon is not the first to talk about air drone delivery. Earlier this year, in June, Domino’s Pizza revealed the DomiCopter. The concept is the same: A kind of drone or mini-helicopter delivers pizza directly at the customer’s door. This concept seems extremely interesting and if it ever gets commercialised, it will be a huge move in the world of distribution, supply chain and e-commerce. However, there are some limitations to this service in addition to the aviation regulations: Bad weather conditions, big packages and long distances. It is worth noting, that the drone will apparently be able to ship items weighing up to 5 pounds and this accounts for 86% of the items delivered by Amazon according to CEO Jeff Bezos. Previous Post What If This Beautiful Woman Turned Out To Have Testicles? Next Post British Airways Places An Interactive Billboard And Domino’s Pizza Replied!